Probate Appraisal. When an estate has a transfer of ownership due to death or inheritance, it's common to get a certified real estate appraisal. Probate Appraisal. Probate is the action taken when settling an estate and is among those actions that nearly everyone knows little about until they actually go through the experience. So we hope to provide you some insight below into the operation of probate settlement as it pertains to property appraisals. When an estate includes a transfer of ownership because of death or inheritance, it is extremely common for a probate appraisal to be required for tax purposes. Many times during the settlement process either your legal counsel or your accountant will order an appraisal and have a relative or executor select an appraiser for the job which often times happens. It’s been our experience that a probate appraisal is often ordered between 2 to 6 months after the death of someone you care about or the inheritance of a property. Occasionally an appraisal is ordered right away and in other situations, the time period might be so long as 1 year or many years depending upon what the circumstances may be. Retrospective appraisals are fairly common in probate settlement situations. This involves appraising a house according to a certain date in the past which is typically the homeowner’s date of death, hence why probate appraisals are often referred to as ‘date of death appraisals’. Besides needing a retrospective or date of death appraisal for the settlement process, often times the ordering party will also request a current value appraisal to be able to determine a current market price for sale or settlement between heirs. This usually occurs when the date of death is significantly further back in time or market values may be moving quickly either up or down. Irrespective of your preferences or the elapsed time, our company of certified appraisers at Bostedo Appraisal Services understands the complexities involved in assessing the value of a home under these difficult circumstances, we’ll offer you the very best experience and the highest possible quality probate appraisal. Remember, every probate scenario is different and the type of appraised value required depends on your particular needs within the estate. This isn’t something you really need to concern yourself with because a good attorney or accountant can easily help direct you toward exactly what will be needed to finalize the probate process. Additionally, we can talk to your accountant or attorney to clarify precisely what’s necessary for your circumstances. Our Senior Appraiser, William Bostedo, has over three decades of experience probate valuations. 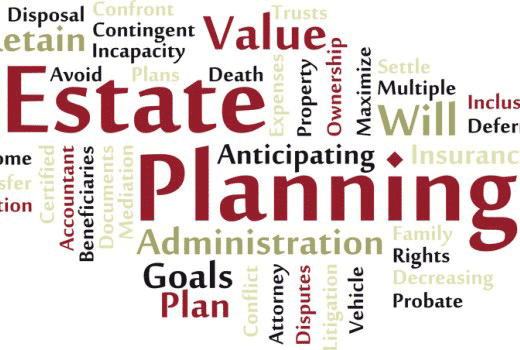 In fact, a large number of attorneys, accountants, and financial planners have started to depend on Bostedo Appraisal Services for they’re accurate opinions of value when formulating real property values during probate settlement proceedings. Phone us today with inquiries you may have and make sure to view our Customer Reviews and Testimonials page to see what others are saying about our company at Bostedo Appraisal Services.